Samsung is, without a doubt, one of the world’s largest TV manufacturers. People around the world love their TV product for their innovative features and great design. According to this source, Samsung took the largest TV market share in the U.S. in August 2018. Taking the biggest market share itself backs up the fact that Samsung makes awesome TVs and consumers really like them. 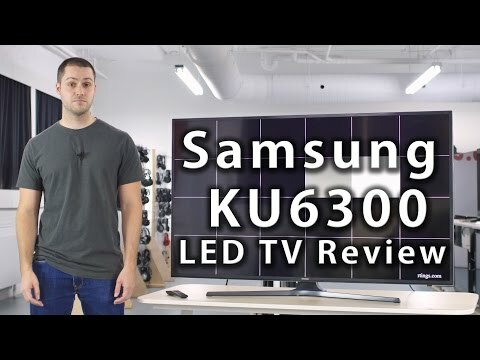 In this blog, I will share my research result to share what I have found with Samsung un60ku6300. For research, I used my domain knowledge to analyze consumer feedbacks and sentiments. As a blogger, but also as a data scientist/engineer, I used data analytics techniques to give you comprehensive and complete reviews in an easy-to-understand way. I’ve collected over 3,000 reviews from Amazon and BestBuy websites. I believe in the power of collective opinions. If the majority of the people say the same things over and over, it is highly likely that they are true. My review will harness the power of collective opinions. Let’s first start with the rating. Using the collected data, I calculated the average ratings. The result was quite positive. The compiled 3,065 reviews gave me an average of 4.3 out of 5 stars. This rating alone already tells us that people loved their experience with this TV. This single factor may have already convinced you to buy this product. But, if you keep reading it, you will find more specific sentiments that consumers showed toward Samsung un60ku6300. Have you heard about a word cloud? This analysis is a good starter to learn how people describe certain things. The target of a word cloud can be about anything from the weather to presidential campaigns. With a word cloud, you can see specific words in different sizes. The larger it is, the more people used that word to describe it. The result below will help you understand the overall sentiments of the consumers. So, how does it look like? We’ve already found that the overall ratings from the consumers are positive. This word cloud reflects that result quite well. You can notice that the most frequent word is “great”, which is… great! You can notice other positive words such as “fivestars”, “awesome”, “love”, and etc. There are many small words in green in the background. You can ignore them since they appeared rarely in the reviews. By now, you may have more confidence on this product. As we just discovered the most frequent descriptive words, let me share what types of feeling the customer conveyed in their review. As the final analysis, I will show you what specific sentiments people had to un60ku6300. You will be able to see 10 different sentiments such as positive, negative, trust, anticipation, sadness, fear, joy, anger, surprise, and disgust. We have just looked at how people think about this product. Now, let’s find out what features have attracted customers. This product not only has a great range of powerful features, but also has a cutting-edge design. It looks simple and smart. To let you actually see it, I’ve embedded a YouTube video right below. This ku600 model comes in a variety of screen sizes including 40″ (or inches), 43″, 50″, 55″, 60″, 65″, and 70″. Consumers can have different experiences with different screen size. In my blog, I’ve also reviewed 40″ which has a different average rating and sentiment analysis result. Please use the link below if you also consider a different size. Samsung un60ku6300 UHD TV has received extremely positive reviews from its customers. My rating and sentiment analysis proved that this product is worth receiving a high rating and compliments from people. If you are looking for a UHD TV, this product can definitely be one of your candidates.